Editor’s note: Georges Pierre Sassine is a political activist who writes about Lebanon’s public policy issues at www.georgessassine.com. The views expressed are the writer’s own. Lebanese may have enjoyed celebrating 70 years of independence last week. But they will also have been fully aware of something much less welcome – nine months of political gridlock. Since March, Lebanon has been unable to form a new government, parliamentary elections held in June were postponed for 18 months, and the current caretaker government has no decision-making powers. As the gridlock persists, Lebanon is slowly losing its ability to manage the spillover from Syria’s war – and a cynical Lebanese society is debating three responses to tackle the country’s malaise. The first response is simply a “wait and see” policy, rooted in a firm belief that geopolitics supersedes domestic politics. To succeed, this approach requires a resolution of the crisis in Syria. The second response is more inward looking, a belief that the gridlock can be overcome through constitutional reforms and a rethink of Lebanon’s political system. The third, more cynical, response calls for the complete partition of the country. The problem is that none of these proposals is a viable strategy to tackle the urgent threats facing Lebanon, threats that risk not just stability, but the country’s economic survival. The Middle East is going through a volatile and uncertain transition, and the future of Lebanon relies on both regional and domestic developments. A balanced, realistic and hopeful response requires Lebanese to focus on common goals and small wins in the near-term, while isolating points of disagreement. Lebanese politicians can focus on economic and social issues while they agree to disagree on contentious issues, including Hezbollah’s arms and positions vis-à-vis the al-Assad regime. 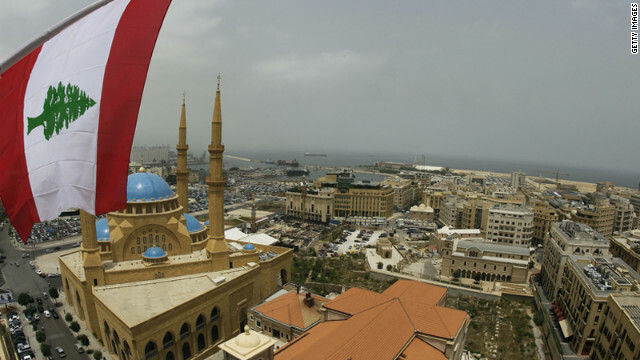 There is no doubt that geopolitical, governance, economic and social issues are interconnected in Lebanon. But at least attempting to separate them can help avoid the complete political and economic paralysis that Lebanon is experiencing today. Meanwhile, focusing on common economic and social goals will allow a new government to address fundamental quality of life issues, including traffic congestion, education and healthcare, electricity shortages and building Lebanon’s oil and gas industry. Changing the Lebanese political narrative from a “geopolitics first” to an “economics first” focus requires three key elements: leadership, compromise, and expert public policy analysis. New types of leaders are essential to manage the current divisive environment in Lebanon. Instead of the traditional leadership style of finger-wagging and lecturing people on what they should do, Lebanon needs leaders who take on facilitator roles. We need people who promote collaboration, take into account different viewpoints and make proper use of the resources around them. As presidential elections scheduled for May 2014 approach, the country should favor candidates able to work across party lines to find consensus. Indeed, compromise should be a core principle in Lebanese politics during this delicate phase. If politicians can accept there will be no clear winners or losers anytime soon in Syria and the Middle East, then mutual concessions are more likely to be possible. But while leadership and compromise are necessary to form a new government and relieve political tensions, delivering on the promise of improved economic conditions will require technical expertise and civil society to play an important role in designing and implementing effective reforms. For example, Lebanon can significantly grow its economy if it develops its oil and gas resources through developing legal frameworks against corruption while establishing mechanisms to soundly manage and spend oil revenues. Another top priority is addressing the horrendous traffic congestion in Lebanon which is costing an estimated $2 billion a year – some 5 percent of GDP – in lost opportunities. Lebanon must put together a comprehensive strategy that rehabilitates Lebanon’s railway lines to allow for a high-speed bus system. In short, Lebanon can ease its people’s daily struggles regardless of geopolitical developments. If politicians are unable to take new approaches to leadership and compromise, then citizens will have to mobilize, take to the streets – do whatever it takes to ensure their day to day lives are not held hostage to the unpredictable fortunes of the region. Lebanon's own civil war ended in 1990 but it was embroiled in war with Israel in 2006 over Hezbollah. Syrian civil war spills over border in 2012. Governments remain fragile, and increasingly at the mercy of the Syrian situation. Around one million Syrian refugees are alleged to be in Lebanon, posing the country and its people enormous challenges. "The Law of the Jungle" is an expression that means "every man for himself," "anything goes," "might makes right," "survival of the strongest," "survival of the fittest," "kill or be killed," "dog eat dog" and "eat or be eaten," "kill only to eat, not from anger or sport". I was really intrigued by a picture of Beirut under the term, which so amicably explains the current situation. In Lebanon however, instead of saying "The Law of the Jungle" we say "tabkhat Bihs", which means "cooking a dish or gravel". We all know that gravel will not ripen nor it would blend or cook. Simply put, every marble of gravel is a religious sect. Go figure!!!! Good article. The bad optics that meets the eye in Lebanon, is all caused by the " politics of division ". Parties are mostly based on religious or sectarian principles. Each leader only sees things from his narrow- minded point of view. None of the leaders are willing to hear the other side out , and there is no sign of them reaching a compromise . In this milieu, it is difficult to form a worthy coalition that is good enough to see the country through to the next election . It then begs the question : What are the young and educated Lebanese doing ? Surely with access to modern means of communication , they should try to establish secular ( multi – religious ) parties - where the only differences will be on each party's economic and social service platform . Ultimately, Lebanese people will have to realise they do not have to pay lip service to party leaders. It's the people who are the boss .... not the leaders ! A good start was this morning!! "New types of leaders are essential"
Still, I wish Lebanon good luck in pursuing a status of un-failed state. Nancy Ajram a Lebanese singer who songs can be heard on radio stations across Lebanon and the Middle East, her songs mix the old and new way's of songs which can be enjoyed by all races across the world. Lebanon has always been called the Paris of the Middle East because of it's cutting edge with the latest fashions and latest trends in clothes and culture. What we can learn from Lebanon is to be more open minded towards other cultures, and learn to negotiate instead of always using military to solve the world's problems. Being an American who has traveled to the Middle East from Beirut to other places in the Middle East, the Lebanese and Arabs have always been open minded when it comes to talking about the problems in the Middle East and the latest soccer game over a cup of coffee and with some great food in a café. As Americans we should learn that diplomacy has always been our strong suit and with Lebanon being our partner and resource when it comes to finding a better road to peace with Syria, we should put our faith in Lebanon and let them negotiate a road to peace for Americans and everyone else to travel and live in peace in the Middle East for years to come.